Police in Australia have made a double murder breakthrough after detectives formally linked two bodies found five years – and more than 1,200 kilometres (750 miles) – apart. In July this year, the decomposed body of a two-year-old girl was found beside a road in a remote area of South Australia. 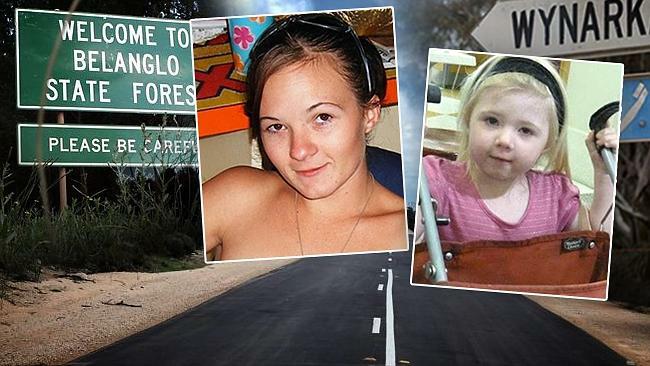 She has now been identified as Khandalyce Pearce – the daughter of Karlie Jade Pearce-Stevenson, whose skeletal remains were found in a New South Wales state forest in 2010. The discovery of the two bodies had baffled police in two states, until a tip-off on a crime prevention hotline a fortnight ago. “This is one of the most shocking crimes imaginable and has torn apart and devastated a loving family,” said Detective Superintendent Des Bray from South Australia Police. Police have now renewed an appeal for public help to solve the murder mystery. Khandalyce’s body was discovered after a driver spotted the suitcase dumped on the side of a highway near the small South Australian town of Wynarka.